Have any books you’d like to donate? How about cans of food? Throughout February, the Friends of the Library Bookstore is collecting non-perishable food items for Channel One. If you donate a food item, you will receive 20% off your total purchase from the bookstore. 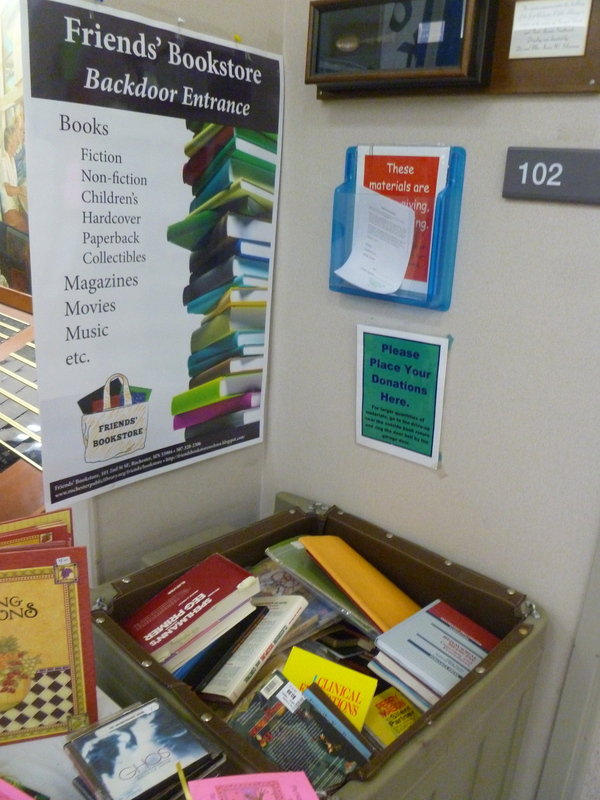 Book donations can be placed in a receptacle near our back entrance. Abraham Lincoln once said, “My best friend is a person who will give me a book I have not read.” Your donations make new book discoveries possible. Book donations can be placed within the receptacle located near the store’s back entrance.